​Yamaha Performing Artist Dr. Patricia Surman is an active solo, chamber, and orchestral flutist. In demand as a soloist, Patricia has recently performed and given masterclasses in Taiwan, Korea, Canada, across Europe and the United States at esteemed institutions including the Venice Conservatory, Janacek Academy, the State Conservatory of Greece, Baylor University, the University of Nevada Las Vegas, the University of North Texas, and Oklahoma State University. ​Patricia has been a featured performer and clinician for flute festivals, including the National Flute Association Convention, Florida Flute Fair, Rochester Flute Fair, Oklahoma Flute Society Flute Fair, Kentucky Flute Festival and the Flute Society of Mid-South. In the spring of 2014, Patricia served on faculty at the University of Macedonia in Thessaloniki, Greece and researched contemporary Greek flute repertoire. Her article on Ida Gotkovsky is featured on Oxford Music Online. 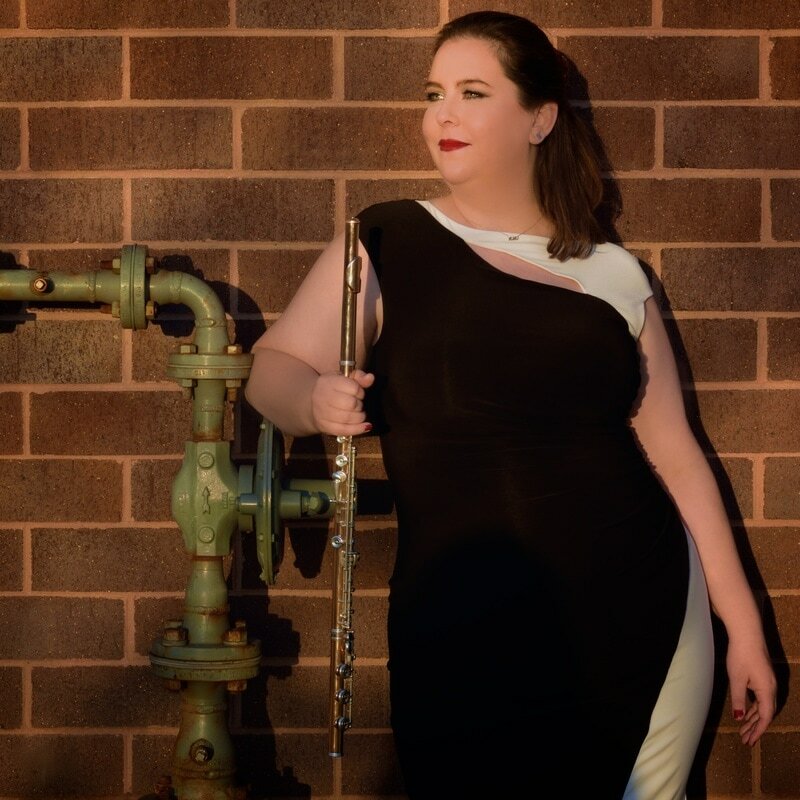 She was recently featured in the International Alliance for Women in Music Journal, interviewed in The Flute View and has published articles in the Journal of the National Association of College Wind and Percussion Instructors and Flute Talk Magazine. As co-founder of DuoInteraktiv, Patricia has collaborated with computer musician Reiner Krämer, performing music for flute and interactive computer across the nation. Patricia recently joined the Metropolitan State University of Denver faculty as Assistant Professor of Flute and Director of Woodwind Studies and has previously taught at Northeastern State University, Southwestern Oklahoma State University, and Southwestern Adventist University and has held residencies at Bates College and the Taipei Municipal University of Education. She can be heard in recordings on the GIA and Mark Custom labels and as a soloist on the GIA Choralworks CD series. Her debut solo CD released on Centaur Records, The American Album, is available on iTunes. Hailed by the Washington Post as “brilliantly virtuosic,” flutist Brook Ferguson is a versatile solo and orchestral artist. TheMiami Herald praised Ferguson’s performance of Carl Nielsen’s Concerto for Flute with the New World Symphony as “soaring, fraught with emotion, possessing sterling technique with pure tone, showing herself fully in synch with Nielsen’s enigmatic world, putting across the playfulness, passing shadows and sheer strangeness of this music with strong impact.” First prize winner of the 2009 National Flute Association Young Artist Competition, Ferguson has performed as a concerto soloist with the Colorado Symphony, the New World Symphony, the River Oaks Chamber Orchestra and the Los Angeles Chamber Orchestra. She has appeared at the prestigious Marlboro Music Festival and Tanglewood Music Center—as both an orchestral fellow and New Fromm Player. A dedicated teacher, Ferguson encourages her students to cultivate strong and imaginative interpretations, guides them toward a deeper understanding of self-reliant problem solving and helps them to develop physical and mental self-awareness. 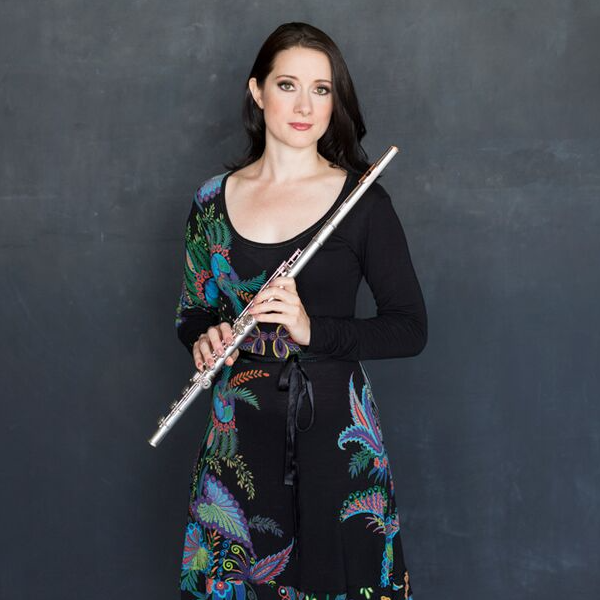 One week every summer, she is a resident artist and teacher at the Marina Piccinini International Master Class at Peabody Conservatory and is an adjunct Professor of Flute at the University of Colorado Boulder and was previously adjunct faculty at the University of Northern Colorado.